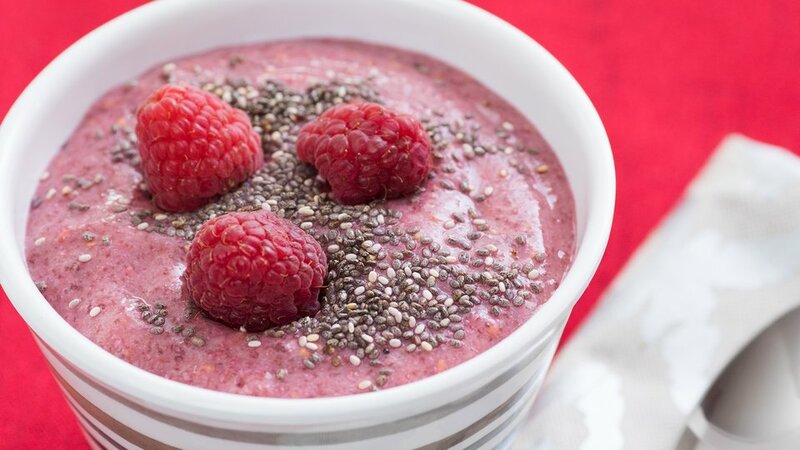 So simple and yet so decadent, this raspberry chia pudding is the perfect dairy-free solution to your ice cream obsession. The chia seeds plump up to give this pudding texture and body, while the tart raspberries help balance the sweetness of the agave. Completely natural, dairy-free, and vegan, make this nutritious and delicious dessert in batches so you always have a healthy treat on hand to keep those Ben & Jerry's temptations at bay. Blend all ingredients, then let sit four hours or overnight. Divide between two bowls and top with more raspberries to serve.